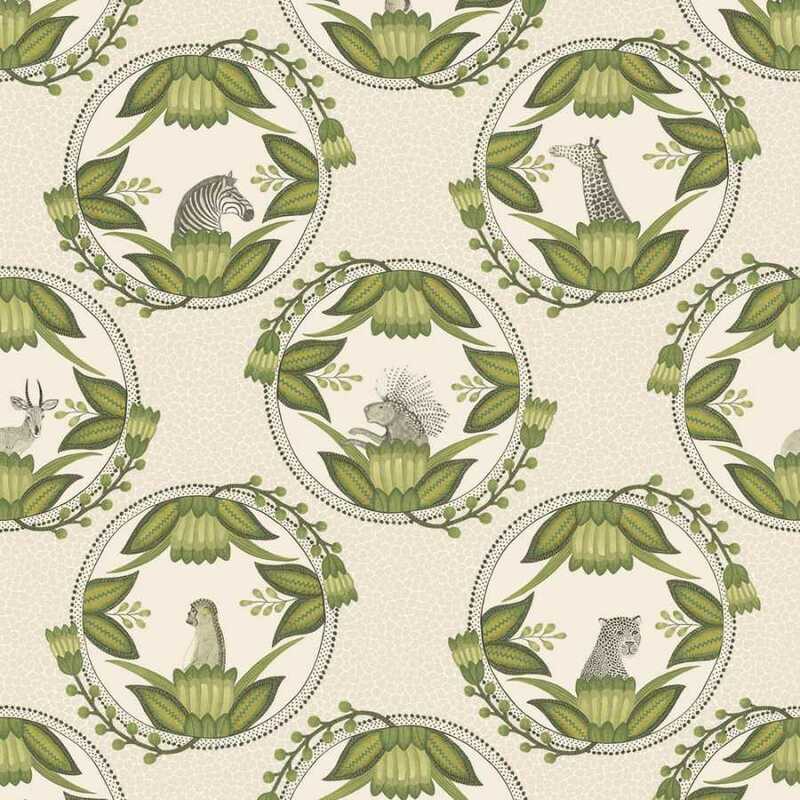 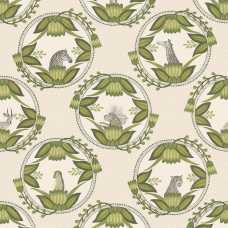 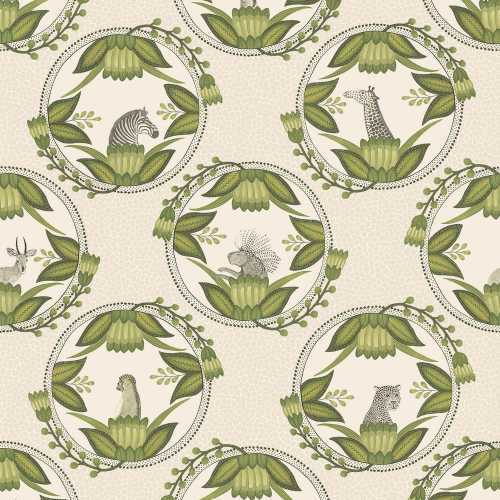 The Ardmore Cameos 109/9041 is a fresh and detailed print of a repetitive circle print containing a detailed grey drawing of an African Animal amongst African green plants which all sit inside the circle motif that represent the African plates. The background/ negative space of this print consists of a very subtle, two-tone colourway of very small, intricate spots. 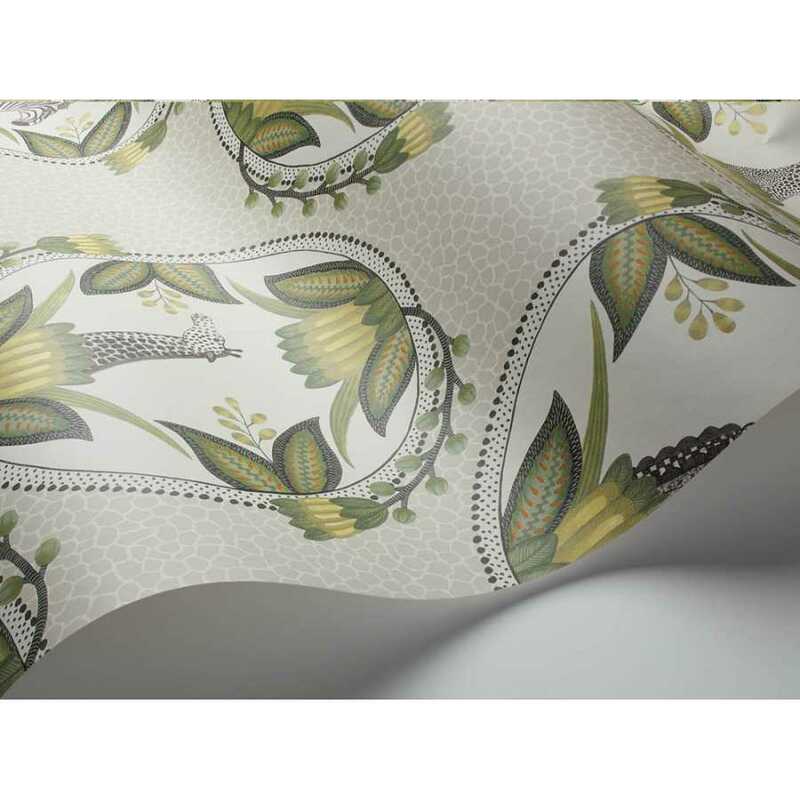 The 109/9041 colourway of the Ardmore Cameos is a fresh and summery colourway with the primary colours being green, cream and grey, a perfect design for your home or commercial interior.